Eye tracking data is used to observe how operators look at the various scenes and if they view all the 'mandatory areas of focus'. This information can be used to illustrate the operators' visual patterns and determine the camera layout and orientation which provides the best visibility. The Netherlands is a country of rivers and canals. To facilitate the passage of ships but also cars, bikes and pedestrians, there are more than 1,000 movable bridges. These bridges open and close up to 20 times a day. 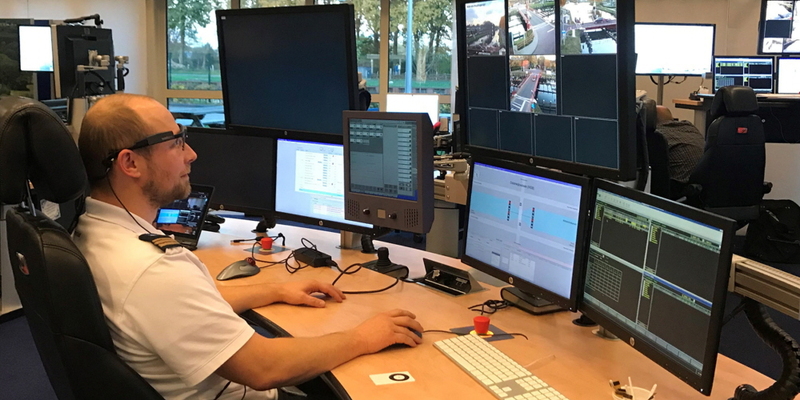 Their operation is controlled by bridge operators in a command center who monitor CCTV cameras to check for any remaining traffic before opening the bridge. Sometimes they fail to see a car, cyclist, or pedestrian on the bridges, which can lead to serious or even fatal accidents. Dutch consultancy vhp human performance was hired to investigate the best CCTV presentation for bridges and to improve the operators' observation performance through training. The company used Tobii Pro Glasses 2 to study the visual patterns of workers and determine the camera layout and orientation which provided the best visibility. They were also able to use the eye tracking data to observe how workers looked at the various scenes and if they viewed all the 'mandatory areas of focus'. Gaze video was played back to the workers so they were able to reflect and gain a deeper level of understanding into their own performance. In this way, vhp was able to develop a proven optimal camera layout which provides the best visibility of trouble spots, and develop training and assessment methods based around eye tracking which accurately assesses if a person is correctly viewing the cameras and carrying out the task. vhp was hired for these projects by The Ministry of Infrastructure and Water Management, Province of North Holland, Province of South Holland and Port of Amsterdam.